This weekend, 16 of the best Hearthstone players in the world will compete for $250,000 and a chance to compete at the World Championship. Today, Shacknews breaks down four decks that the casual Hearthstone player may want to consider adopting for their own use. The Hearthstone Summer Championship is already underway and set to continue all through this weekend. The Blizzard Arena in Los Angeles, CA is playing home to 16 of the top Hearthstone players in the world. There's $250,000 on the line, along with a trip to the Hearthstone World Championship in 2019. 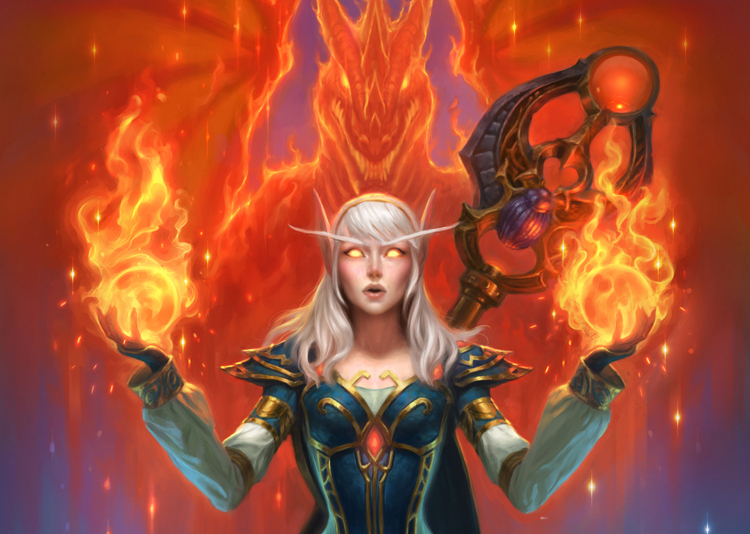 Each of the 16 players will bring four decks, each one from one of Hearthstone's nine classes. Many of them are a reflection of the current Hearthstone meta. They're decks that the average player will encounter on the Ranked ladder. However, some of these decks offers up some distinct twists that account for certain matchups or help give an edge against different players using the same type of deck. Shacknews is here to look at four of the decks that stand out to us and break down what makes them unique. My jaws that bite! My claws that catch! 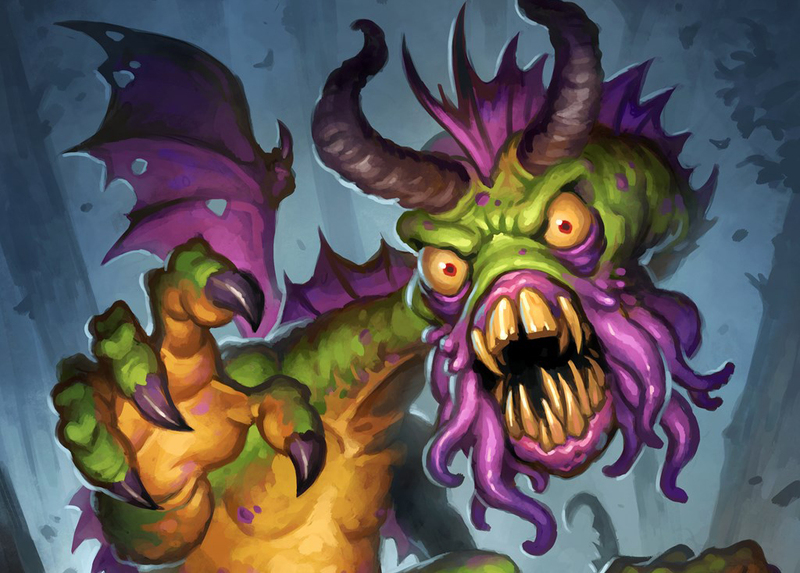 Yes, Shudderwock Shaman is a viable tournament-level deck and it's made quite an impact on the pro scene. The nerf that Shudderwock received a few months ago was a minor setback and the 9-Mana Legendary is still an incredibly powerful card and a reliable win condition. All the pieces have to fall right, requiring the Shaman player to first lay down Saronite Chain Gang, Lifedrinker, and Grumble, in no particular order. What makes Raphael "Bunnyhoppor" Peltzer and Torben "Viper" Wahl's Shaman particularly delicious is the inclusion of The Black Knight. This is a Taunt-removing 4/5 that can take out some of the biggest minions in the game. It's a solid tech choice against Taunt Druids, Deathstalker Rexxar Zombeasts, and pesky Voidlords. That gives this particular Shudderwock Shaman something of an edge in a lot of common matchups. Dragon Priest has largely gone extinct on the ladder with the shift to the Year of the Raven. But David "Dog" Caero still has a few tricks up his sleeve for this deck and it involves combining it with the classic Priest combo style. Divine Spirit and Inner Fire can make Twilight Drake and Nightscale Matriarch into OTK wrecking balls. But even if they don't, the Nightscale Matriarch has such unorthodox stats that it's hard to remove it in a single blow, meaning it can be healed frequently in order to start flooding the board with 3/3 Nightscale Whelps. The dragon presence also plays a much bigger role and that's helping Duskbreaker activate its Battlecry effect. Duskbreaker is a reliable board clear in the early game, but has largely been shelved with a bulk of the useful dragons going to Wild. Dog is still finding a way to keep Duskbreaker useful, while setting himself up for the later game. Somebody's running a Quest Warrior in 2018? Indeed! Lucas "Rase" Romano is still getting mileage out of this deck and out of the Ragnaros Hero Power. But there are a few keys to making this deck work. The main one involving getting the Hero Power going as quickly as possible. That's the only circumstance where one could understand throwing the 1-Cost 0/4 Shieldbearer into the deck. The other key is playing control, with Shield Slam, Execute, and Brawl still serving as reliable board control spells. But the wild card in this deck is Azalina Soulthief, a fascinating tech card that can be used when the Quest is already online. Because so many decks in the meta rely on large hands (looking at you, Warlock and Miracle Rogues), Azalina Soulthief can get a lot of value by copying that large deck, while the Hero Power and on-board Taunts keep opponents at bay. 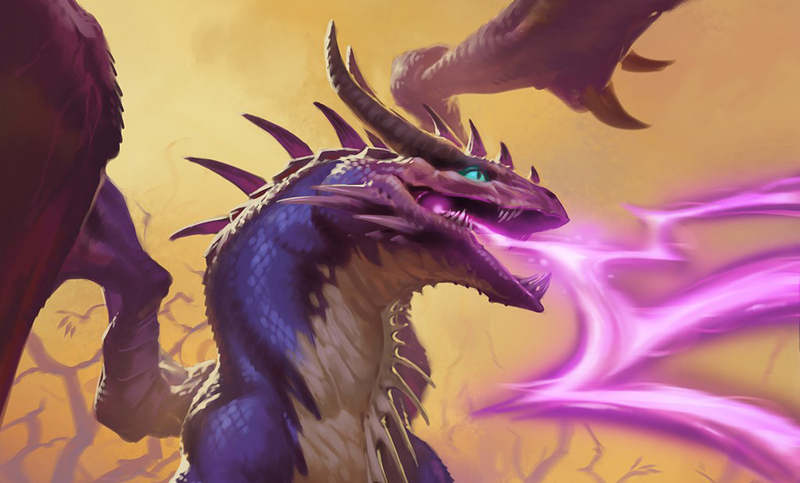 Azalina hasn't been seen too much in the competitive meta, but if she comes out this weekend, it could be one of the most entertaining moments of the weekend. Say hello to Rase again, this time bringing along a Big Spell Mage with a twist. And that twist is quite a gamble. Rase is shelving the Witchwood Piper that's seen in a lot of Big Spell Mages and replacing it with a rarely-seen 5-Cost Abomination. The Abomination inclusion is a big counter for Odd Paladin, in particular, as its 2-damage Deathrattle can clear off a wide number of Silver Hand Recruits, potentially stalling until he can get those big spells online. After all, the Big Spell Mage has a big vulnerability to aggro decks, which can typically gain a big advantage or end the game outright before the Mage even has a chance to get any of those expensive board clear spells going. But losing Witchwood Piper is a big risk, because its main purpose involves drawing Arcane Artificer on Turn 4, which gives the Mage player some much-needed Armor to go along with those big spells. It'll be interesting to see if this pays off, because there several ways in which this Abomination play can go wrong, particularly in the Miracle Rogue matchup, where the Rogue's 4/4's can simply brush the Deathrattle onslaught off. 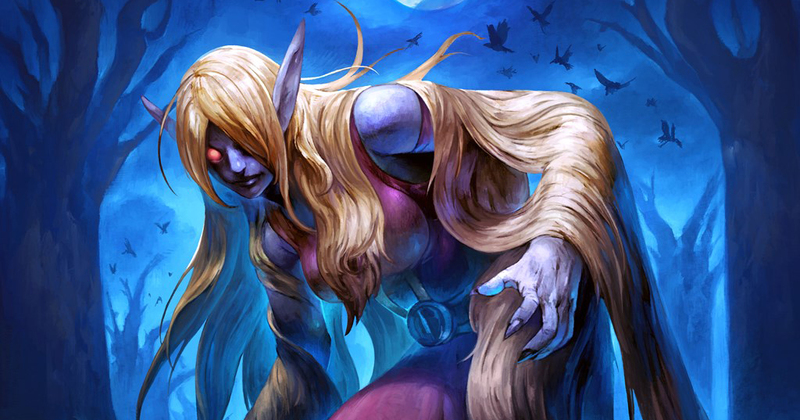 Be sure to check out the Hearthstone website for the full list of decks for this weekend. What decks will you have your eye on? Join the conversation and let us know in the comments. The Hearthstone Summer Championship is going on all weekend on the Hearthstone Twitch channel. I don't think it's fair for players rank 1 to queue into high legend this late into the month, which has been happening a lot lately. There's also an issue of players on the bottom of the legend ladder being unable to climb. But it's been a good month overall. I was top 200 for a while with even shaman running kalimos of all cards.